Epithelial to mesenchymal transition (EMT) allows cancers to become invasive. To investigate EMT, a neural stem cell (NSC)-based in vitro model devoid of serum and enzymes is described. This standardized system allows quantitative and qualitative assessment of cell migration, gene and protein expression. The model is suited for drug discovery. Sailer, M. H., Sarvepalli, D., Brégère, C., Fisch, U., Guentchev, M., Weller, M., Guzman, R., Bettler, B., Ghosh, A., Hutter, G. An Enzyme- and Serum-free Neural Stem Cell Culture Model for EMT Investigation Suited for Drug Discovery. J. Vis. Exp. (114), e54018, doi:10.3791/54018 (2016). Epithelial to mesenchymal transition (EMT) describes the process of epithelium transdifferentiating into mesenchyme. EMT is a fundamental process during embryonic development that also commonly occurs in glioblastoma, the most frequent malignant brain tumor. EMT has also been observed in multiple carcinomas outside the brain including breast cancer, lung cancer, colon cancer, gastric cancer. EMT is centrally linked to malignancy by promoting migration, invasion and metastasis formation. The mechanisms of EMT induction are not fully understood. Here we describe an in vitro system for standardized isolation of cortical neural stem cells (NSCs) and subsequent EMT-induction. This system provides the flexibility to use either single cells or explant culture. In this system, rat or mouse embryonic forebrain NSCs are cultured in a defined medium, devoid of serum and enzymes. The NSCs expressed Olig2 and Sox10, two transcription factors observed in oligodendrocyte precursor cells (OPCs). Using this system, interactions between FGF-, BMP- and TGFβ-signaling involving Zeb1, Zeb2, and Twist2 were observed where TGFβ-activation significantly enhanced cell migration, suggesting a synergistic BMP-/TGFβ-interaction. The results point to a network of FGF-, BMP- and TGFβ-signaling to be involved in EMT induction and maintenance. This model system is relevant to investigate EMT in vitro. It is cost-efficient and shows high reproducibility. It also allows for the comparison of different compounds with respect to their migration responses (quantitative distance measurement), and high-throughput screening of compounds to inhibit or enhance EMT (qualitative measurement). The model is therefore well suited to test drug libraries for substances affecting EMT. During several stages of embryonic development, epithelial cells lose their strong adherence to each other (e.g., tight junctions) and acquire a migratory phenotype in a process called epithelial to mesenchymal transition (EMT)1. EMT is required for the formation of additional cell types, such as the mesenchymal neural crest cells, a population that segregates from the neuroepithelium2. EMT is not only essential during embryonic stages but also required at later stages of adult life to maintain physiological processes in the adult organism, such as wound healing3and central nervous system (CNS) regeneration in demyelinating lesions4. Epithelial tumors are known to reactivate EMT as an initiation step for migration, invasion and metastasis, ultimately leading to cancer progression1,3. EMT is indeed centrally linked to strong migration1,3. The cellular steps of conditioning, initiating, undergoing and maintaining EMT are not fully understood and need further investigation. Here, a standardized in vitro EMT model system based on NSCs, with defined growth factors and media (no serum and no enzyme usage) is presented. This model system is of relevance for scientists working on EMT. The Snail, Zeb and Twist protein families have been shown to be critical for EMT both in development and disease1. The Snail, Zeb and Twist families are also involved in the presented system. The system is based on a specific region of the forebrain that normally does not undergo EMT providing a particular advantage for the study of initial events during EMT induction. The model system could potentially be applied to study EMT in epithelia outside the CNS, since key EMT inducers, such as the Snail, Zeb and Twist proteins, are also found during EMT in tissue systems outside the CNS. This model system allows the standardized isolation of NSCs from the developing cortex to study stem cell features in general and EMT in particular. Using this system, we isolated NSCs, induced EMT and studied the subsequent migration under the effect of FGF2 and BMP4. We observed that FGF- and BMP-signaling interacts with TGFβ-signaling to promote cell migration, thus validating the model system. All animal procedures followed the 'Guide for the Care and Use of Laboratory Animals' (NIH publication, 8th edition, 2011) and were approved by the Animal Welfare Committee of Basel (Swiss Guidelines for the Care and Use of Animals). By these guidelines the animal protocol is considered of "lowest animal severity grade". Note: Work in aseptic conditions as standard for tissue culture. Take two 15 ml tubes, and add 5 ml of L-glutamine-free DMEM/F12 (1:1) from a 500 ml medium bottle into each of the two 15 ml tubes. To the first 15 ml tube, add 50 mg human apo-transferrin, 50 μl of putrescine 1 M stock (0.1 mM final concentration) and 30 μl of sodium selenium 500 µM stock (final concentration 30 nM). Filter through a 0.2 µm syringe filter into the original DMEM/F12 bottle. To the second 15 ml tube, add 12.5 mg insulin. Add 6 - 9 drops of 1 M NaOH. Vortex to dissolve insulin completely. Filter through a 0.2 µm syringe filter into the original DMEM/F12 bottle. Note: NaOH is toxic and corrosive. Use protective gloves, coat, and safety goggles. Add 5 ml penicillin (10,000 units/ml) / streptomycin (10,000 µg/ml) / amphotericin B (25 µg/ml) to the DMEM/F12 medium bottle. Add 5 ml of 200 mM L-glutamine stock freshly thawed or oligopeptides containing glutamine (200 mM L-alanyl-L-glutamine dipeptide) to the DMEM/F12 medium bottle. Shake well. Prepare 50 ml aliquots. Note: Expansion medium can be stored for at least 2 weeks at 4 °C. Aliquoted tubes show less pH changes compared to medium kept in 500 ml bottles. To 1 L Ca2+- and Mg2+-free HBSS media, add 990.85 mg Glucose (5 mM final concentration) and 840.10 mg NaHCO3 (10 mM final concentration). Adjust pH to 7.3 with HCl (1 M stock). Filter sterilize with 0.2 µm filter and make 50 ml aliquots. Note: Passaging medium can be stored for at least 4 weeks at 4 °C. Prepare sterile 1x PBS with 1% BSA (PBS-BSA) alone or with hydrochloric acid (HCl) at 4 mM (PBS-BSA-HCl). Caution: HCl is corrosive and toxic and requires special safety measures (coats, goggles, gloves, hood). Dissolve 10 µg/ml recombinant human Fibroblast Growth Factor 2 (rhFGF2) in PBS-BSA (10 ng/ml final concentration), 10 µg/ml recombinant human Bone Morphogenetic Protein 4 (rhBMP4) in PBS-BSA (10 ng/ml final concentration), and 20 µg/ml recombinant human Transforming Growth Factor β 1 (rhTGFβ1) in PBS-BSA-HCl (40 ng/ml final concentration). Do not filter sterilize. Prepare aliquots. Note: Growth factor aliquots can be stored at -20 °C for at least 2 years. Dissolve 1,875 mg Poly-L-ornithine (PLO) in 500 ml distilled H2O to prepare a 250x PLO stock. Filter sterilize using a 0.2 µm syringe filter and make 2 ml aliquots. Note: These aliquots can be stored at -20 °C for at least 2 years. Dissolve 1 mg bovine fibronectin in 1 ml sterile-distilled H2O to prepare 1,000x fibronectin stock. Do not vortex as this may clot the sticky protein. Shake gently by hand for 10 min. Incubate for 1 hr at room temperature with occasional shaking. Check for complete dissolution. Warm the solution to less than 37 °C for the complete dissolution of fibronectin. Do not filter-sterilize. Note: The solution may be stored at 4 °C for up to 6 months. Use plasma-pretreated plastic cell culture dishes (100 mm or other sizes as required for the experiment). To assess migration, use 35 mm dishes with 500 µm grid. Incubate dishes overnight with 2 ml 1x PLO for 12 hr at 37 °C in a 5% CO2 tissue culture incubator. Wash twice with 2 ml 1x PBS. Add 2 ml 1x fibronectin (1 μg/ml final concentration) and incubate dishes for a minimum of 12 hr at 37 °C in a 5% CO2 incubator. Remove fibronectin just before plating the cells. Note: Fibronectin-coated dishes may be stored for at least 2 weeks at 37 °C. Obtain rat embryonic day 14.5 (E14.5, Sprague-Dawley) and mouse E13.5 (C57BL/6) embryos by timed-mating. Mate animals from 18:00 until 08:00 the next morning. Noon after the day of mating is considered E0.5. Anesthetize the pregnant animal with 5% Isoflurane and 0.8 L/min oxygen flow. Check response by paw compression with sharp dissection forceps. Decapitate the animal. Avoid CO2 asphyxiation as CO2 affects stem cell recovery. Retrieve embryos by caesarean section. Place animal in supine position and disinfect fur with 70% ethanol. Use surgical forceps and scissors to make V-shaped skin incision of about 8 cm in the lower abdomen above the uterus. Incise only skin with fur while keeping muscular walls intact. Use fresh forceps and scissors to incise the muscles and the abdominal muscular wall to enter the peritoneum. Identify the uterus in the lower posterior peritoneum. Remove the uterus by sharp separation from the surrounding tissues. Wash the uterus with embryos with sterile 1x PBS and place in ice-cold 1x PBS. Use fine-tipped scissors to open the uterine walls to release embryo by embryo under a dissection microscope (3X magnification, Figure 1B). Use a pair of forceps to remove the embryonic hulls (Figure 1B). Keep embryos in expansion medium on ice. Verify the correct developmental stage by the Atlas of the Developing Rat Nervous System5. The correct embryo size is shown in Figure 1B. Check correct age further by presence of beginning digit formation in the rat forelimb (FL) as illustrated in Figure 1A. Note: The hind limb (HL) does not yet show digit separation (Figure 1B). 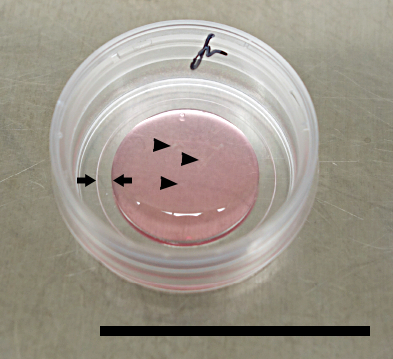 For dissection, transfer embryos to uncoated Petri dishes filled with ice-cold 1x PBS. Perform dissection under a stereo dissection microscope (3X to 20X magnification) using autoclaved fine forceps. Note: The Petri dishes prevent attachment of tissue to the dish surface as may happen with plasma-coated cell culture dishes. Sharpened tungsten wire needles or similar are also helpful for certain steps of dissection. Remove the head skin and skull starting at the intersection of the developing telencephalon (TEL) and diencephalon (DI) (Figure 1B) by pulling simultaneously anteriorly and posteriorly with two forceps in order to gain access to the developing neural tube (Figure 1C). Identify the midbrain-hindbrain-boundary (MHB, black arrow head in Figure 1B-D), separating the mesencephalon (MES) from the rhombencephalon. Cut the rhombencephalon just at or below the MHB (Figure 1D, triangular arrow). ​Note: The additional subcutaneous space at the MHB facilitates skin removal without harming the neural tube. Sever the connection between the telencephalon/diencephalon at the skull base with the facial skeleton (Figure 1E). This results in a block containing the telencephalon, diencephalon and mesencephalon (TEL-DI-MES) (Figures 1F-H). Transfer the TEL-DI-MES block into expansion medium on ice. Keep it completely covered in expansion medium in an uncoated Petri dish. Hold the block at the mesencephalon with a pair of forceps to avoid touching the telencephalon that contains the cortical SVZ with NSCs. Repeat steps 5.5 to 5.8 with all embryos (Figure 1F-H). Transfer one TEL-DI-MES block into fresh ice-cold 1x PBS. Cut along the dotted line in the anterior mesencephalon (Figure 1F-H), separating the mesencephalon from the diencephalon, as shown in Figure 1I. Separate the DI from the TEL by cutting along the dashed lines in Figure 1F. See isolated telencephalon in Figure 1J. Split the two telencephalic hemispheres, cutting along the dotted line in Figure 1J. This results in two separated hemispheres as illustrated in Figure 1K. Note: The left hemisphere is magnified in Figure 1L. Identify the medial ganglionic eminences (MGE, Figure 2A; *) and lateral ganglionic eminences (LGE, Figure 2A; +) visible through the future Foramen interventriculare. Using forceps or needle, dissect along a straight line at the intersection between the MGE and LGE and the anterior cortex (ant-ctx, Figure 2B). Cut a straight line through cortex, hippocampus (hip) and choroid plexus (CP). This separates the anterior cortex including the olfactory bulb (ob) from the ganglionic eminences (GE, Figures 2B, C). Cut a second straight line at the intersection of the caudal ganglionic eminence (CGE, Figure 2C, D) and the posterior cortex (Figure 2C), again cutting through cortex, hippocampus and choroid plexus. Flatten out the telencephalon. Completely remove the posterior pole and the olfactory bulb (Figure 2D). Identify the cortical hem containing the hippocampus and the choroid plexus (Figure 2C), as defined previously 6,7. ​Note: The hippocampus has a thinner neuroepithelium than the cortex. The CP contains red vessels. Separate the cortical hem from the cortex, leaving the size of the cortex identical to the size of the ganglionic eminences (Figure 2D). This results in a block of the cortex (the target tissue) and the ganglionic eminences (GE, Figure 2D). Flip the cortex-GE block with the ventricular (inner) side to the dish surface. Note: The outer surface of the hemisphere will face the experimenter (Figure 2E). On the outer surface are the blood vessel-containing meninges (Figure 2E). Pin the GE to the dish surface with the left hand and peel the meninges off with a pair of forceps in the right (dominant) hand (Figure 2F). Note: This is the technically most demanding step because the meninges strongly adhere to the cortex. The separation of meninges from the cortex is facilitated by cutting a completely straight line (not jagged) in steps 5.13.1 and 5.14. Repeat steps 5.12 to 5.16 for the other hemisphere and all embryos. Cut the cortex along the LGE in a distance of half the main diameter of the LGE (Figure 2G, 2H). The dissected cortex spans an area of 1.2 mm x 2.4 mm (Figure 2H) and includes the SVZ/germinal layer with the NSCs. Cut the cortex into explants of less than 400 µm diameter (Figure 2I). Use a 400 µm grid (Supplementary Figure 1) positioned below the dissection Petri dish for reference (Figure 2H and 2I). Transfer all explants into a fresh Petri dish with ice-cold expansion medium. Remove the fibronectin from a tissue culture dish (step 4.4). Allow it to dry. Add 1 ml of cold expansion medium to the center of the 35 mm dish with grid dimension of 10 mm x 10 mm (Figure 3). Allow the medium to form a spherical drop (Figure 3). Insert up to 8 explants to the center of the drop. The explants should be ideally located on the grid with at least 3 mm distance between each other for the migration analysis (see section 8). Incubate the dish for about 1 hr in a cell culture incubator (37 °C, 21% O2, 5% CO2) for attachment of the explants. Allow the explants to settle and attach to the fibronectin-coated surface. Do not shake the dish, since the explants may detach and move out of the optimal grid center. After 1 hr incubation (37 °C, 21% O2, 5% CO2), fill up the dish to a total volume of 2 ml expansion medium plus the growth factors or substances of interest to test and incubate. Note: Neither enzymatic digestion, nor serum or centrifugation are necessary for explant preparation. This is optimal for cell integrity. Warm up expansion and passaging medium at 37 °C. Transfer the dissected cortex pieces (from step 5.17) into a 15 ml tube with cold expansion medium (tube A). Centrifuge the cortex pieces for 5 min at 1,200 x g. Aspirate the supernatant. Add 200 µl pre-warmed expansion medium to resuspend the cortex pieces. Add 700 µl of pre-warmed passaging medium to the 15 ml tube with a P1,000 tip (tube A). Gently resuspend the pellet. Place the tip at the bottom of the 15 ml tube. Gently and slowly dissociate the tissue pieces by suctioning three times with the P1,000 tip. Note: Passaging medium promotes cell separation and is required to avoid the use of enzymes. Allow the tube to sit for 30 to 60 sec for larger (heavier) undissociated pieces to settle at the bottom. Single dissociated cells will remain in the supernatant. Transfer about 700 µl of the supernatant to a fresh 15 ml tube (tube B). Repeat steps 7.3 and 7.4 to dissociate the larger pieces. Repeat steps 7.3 and 7.4 a second time to dissociate the larger pieces. Transfer all supernatant to the fresh 15 ml tube (tube B). Add expansion medium to a total volume of 5 ml. Count cells using a hemocytometer. Assess dead cells by trypan-blue staining. Note: Small NSCs tolerate the steps 7.2 to 7.6 better than larger cells. From 10 embryos expect about 4 x 106 cells with 10% dead cells. For expansion of NSCs, plate 1.5 x 106 cells per 10 cm fibronectin-coated tissue culture dish in a volume of 8 ml expansion medium. For standard expansion, add 8 µl of 1,000x rhFGF2 stock. Add 8 µl rhFGF2 every day and change media every other day. Note: The cortex at this developmental stage contains a majority of NSCs and only a minority of differentiated cells. The differentiated minority cells do not respond to the rhFGF2-treatment and die during the expansion culture. Passage expanded NSCs at 60% confluence. To passage NSCs, remove expansion medium. Wash cells quickly three times with 5 ml passaging medium. Wait 2 - 4 min. Without Ca2+ and Mg2+ the cells slowly detach from the surface, rounding up. Verify detachment of cells under the phase microscope. Wait another few minutes, if needed, until visual detachment from surface is observed. Note: Single cells will completely detach, but most cells will still adhere to the dish surface. The duration needed for detachment is dependent on the duration of fibronectin coating. A short fibronectin coating (12 hr or less) results in faster cell detachment. For longer experiments (> 1 week) fibronectin coating of more than 24 hr is recommended. Use a 10 ml pipette to gently detach the cells from the surface. Collect the 5 ml passaging medium with cells and transfer it to a fresh 15 ml tube. Repeat with an additional 5 ml of passaging medium. Dissociate the cells in the 15 ml tube by pipetting up and down three times, placing the 10 ml pipet at the bottom of the tube. Spin the tube for 15 min at 1,200 x g at room temperature. Remove the supernatant and resuspend the pellet in 2 ml expansion medium. Count cells using a hemocytometer. Use trypan blue to assess dead cells. ​Note: After expansion to 60% confluence, expect 4 - 5 x 106 cells with a dead cell count at around 10%. Plate 8 x 105 cells per 10 cm dish for further passages. For migration assessment, isolate explants according to Section 5. Seed the explants in 35 mm grid dishes. One hour after plating, add FGF2 (rhFGF2). Place the dishes in a 37 °C incubator for 2 days. ​Note: For optimal explant attachment, avoid moving the dishes. Remove medium by 1,000 µl tip. Add 2 ml of expansion medium by 1,000 µl tip starting at the inner circle (Figure 3). This reduces surface tension on explants. Add growth factors alone or in combination as required for experiment. Use FGF2/BMP4/TGFβ1 as positive control. Note: In this experiment, 2 µl FGF2 per 35 mm dish, 2 µl BMP4 and 4 µl TGFβ1 were added alone and in combination (Figure 5). Add additional factors and/or testable substances. Keep dishes again untouched for 2 days at 37 °C. Take photographs of explants on an inverted microscope. Note: Living explants yield better phase contrast images than fixed cells. Both may be used. For migration assessment, use a graphics software that allows pixel measurements (e.g., Fiji8). Measure the dish grid of 500 µm distance in pixels and use it as internal reference. Define the center of the explant as migration start point. Measure the distance between the center of the explant and the outermost group of 10 cells. Note: All cells migrate centrifugally away from the explant. They spontaneously form a sheet at the periphery under the circumstances tested (Figure 5). Prepare fibronectin-coated tissue culture 24-well plates according to Protocol Section 4. Place 300 µl of warm expansion medium into the top well of cell invasion chambers. Incubate the chambers for 30 min at 37 °C and 5% CO2. Remove the expansion medium from the top well and place the Boyden chamber into the coated 24-well plate. Add 500 µl of warm expansion medium with 0.5 µl of rhFGF2 and 0.5 µl rhBMP4 to the bottom well. Passage NSCs and count as described in Section 7. Passages 1 to 4 are suitable. Plate 5 x 105 cells in a volume of 300 µl of warm expansion medium with 0.3 µl of rhFGF2 and 0.3 µl of rhBMP4 in the top well of the Boyden chamber. Culture the seeded NSCs for 24 hr. Add additional factors and/or testable substances to the chamber and culture the cells for another 48 hr. Note: If the cells are invasive, they will pass from the top well through the basement membrane layer to the bottom well. Invasive cells will cling to the bottom of the Boyden chamber. Follow the protocol provided by the manufacturer. Use cotton swabs (included in the invasion assay kit) to remove the non-invasive cells in the top well by cleaning twice. Remove the medium from the wells and add 500 µl expansion medium with a plasma membrane stain for living cells and with the nuclear dye DAPI to the wells. Incubate for 10 min at 37 °C and 5% CO2. Note: The dyes will integrate into the membrane and the nucleus of the invasive cells, respectively, for optimal visualization8. Option: Omit plasma membrane dye if multicolor immunocytochemistry is planned. Remove the medium with the dyes and wash twice with expansion medium. Visualize and count invasive cells with an inverted fluorescence microscope as demonstrated previously8. Note: Some invasive cells may have detached from the bottom of the chamber and have dropped to the well surface below where they stick to the coated surface. For complete analysis include the cells at the well surface. Remove the medium and fix the cells in ice-cold fresh 4% PFA for 10 min. Wash 3x with 1x PBS. Perform immunocytochemistry on invasive cells, as previously described8-10. This EMT model system is based on the standardized isolation of NSCs both as single cells or as explants from a specific region of the developing neural tube, the central cortex (Figures 1 and 2). For quantitative assessment, explants were seeded right at the center of a 500 µm grid culture dish (Figure 3). Explants from the central cortex were first exposed to FGF2 for two days, followed by additional two days in different combinations of growth factors (Table 1). We started with the cortex which is larger than other regions of the developing neural tube. We observed that only explants cultured in BMP4 showed a migratory response (Table 1 and Supplementary Figure 2). Next podoplanin (PDPN) expression was analyzed under defined conditions. PDPN is a transmembrane sialomucin-like protein that has been associated with invasion in multiple cancers11,12 and also in NSCs8. The proportion of PDPN expressing cells is increased in high-grade gliomas13. PDPN is also associated with poorer survival in glioblastoma patients14. Further, PDPN has been shown to be a marker of malignant progression in multiple tumors including breast, lung, colon carcinomas15,16. PDPN is expressed both in invasive as well as migratory NSCs8. Using the above protocol, PDPN expression was compared to control, FGF2 only, in explants exposed to TGFβ1 and BMP4 alone or in combinations. PDPN expression was detected in all BMP4 and TGFβ1/BMP4-treated explants. In contrast, no PDPN was observed in the control explants in FGF2 alone or in explants with TGFβ1 alone (Table 2 and Figure 4). In addition cells with a migratory phenotype were induced in BMP4 and TGFβ1/BMP4-exposed explants, whereas the control explants (only FGF2) and TGFβ1 alone did not show migratory cells (Table 1). The observation of migratory cells provides a low cost, straight-forward qualitative assessment. Further, we tested the migratory response and EMT induction of several regions of the developing neural tube to BMP4 (Table 2). 400 µm explants were prepared from the central cortex, the posterior cortex (labeled posterior pole), the MGE and the mesencephalon, as indicated in Figure 1. The explants were all exposed to FGF2 for two days, followed by two days in FGF2 with BMP4. Migration was defined by the appearance of flat migratory cells with a leading and trailing edge (Figure 5 and Supplementary Figure 2). A strong induction of migratory cells from the posterior cortex and an intermediate response from the MGE and the mesencephalon was observed (Table 2). 145 of 146 explants of the central cortex showed a migratory response in FGF2/BMP4. Thus, the central cortex demonstrated the most robust induction of migratory cells of all explants tested (Table 2). Omission of BMP4 abolished any migratory response (Table 1 and 2, and data not shown). For quantitative assessment of growth factor potency, migration distance was measured in explants cultured in multiple growth factors. Explants were cultured as above for two days in FGF2, then for additional two days in FGF2 without factors (control) or single or combined BMP4 and TGFβ1. In the control explants a strong proliferation was observed in response to FGF2, as expected. The explants are derived from the cortical SVZ and contain to a large part NSCs which are known to proliferate in response to FGF217. The control cells reached 689 ± 14, the TGFβ1 cells 582 ± 49 µm (Figure 5.). The BMP4-group showed a mean migration distance of 935 ± 91 µm. 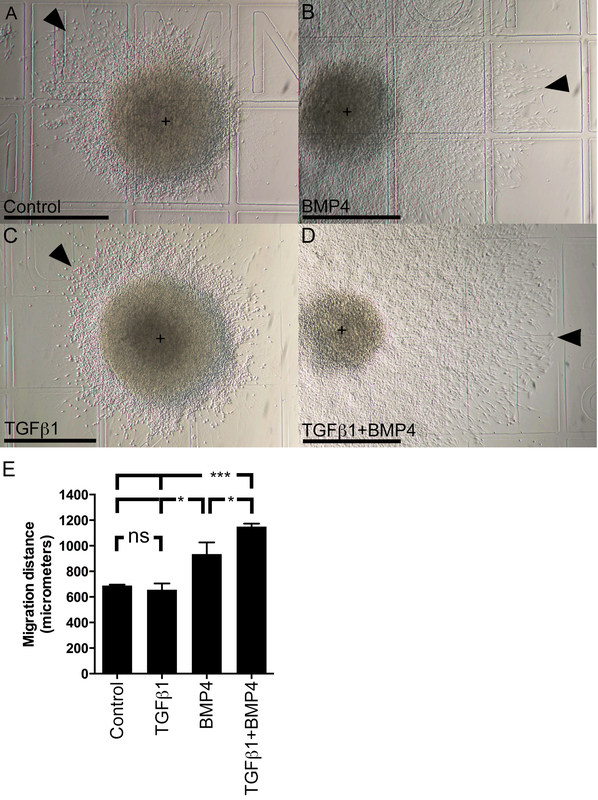 In comparison the TGFβ1/BMP4-cells migrated significantly further, to 1,150 ± 23 µm (Figure 5). The results show that BMP4 is inducing a migration in FGF2-exposed NSCs. This migration can be further enhanced by TGFβ1. The combination of FGF2, BMP4 and TGFβ1 is therefore the most effective to induce migration. In summary, the cell culture model system allows both qualitative as well as quantitative migration assessment. EMT has been linked to transcription factors (TFs), such as Snail1, Snail2, Zeb1, Zeb2, Twist1, Twist2 in various systems including epithelial cancers, such as breast cancer, colon cancer, lung cancer and also in brain tumors1,18. We had previously shown that FGF2 and BMP2 or BMP4 can induce Snail1 and Snail28,9. Using the above system we investigated the expression levels of the other EMT-related TFs. No changes in Twist1 expression could be detected; with Twist1 being at low expression levels during FGF2 exposure (data not shown). In the cell culture model an upregulation of Zeb1 and Zeb2 during FGF2-exposure and of Twist2 during FGF2/BMP4-exposure was observed (Figure 6). NSCs are known to contribute to the population of oligodendrocyte precursor cells (OPCs)8,19,20. Several lines of evidence indicate that NSCs and in particular OPCs may be the cell of origin for gliomas21,22. To characterize the above model further, we investigated the expression of OPC markers. We observed that FGF2-exposed NSCs demonstrated co-expression of Olig2/Nestin and Sox10/Nestin in more than 90% (Figure 7). This observation demonstrates that the NSCs show OPC-features in our system. Indeed, the OPC-features correlated with upregulation of Zeb'1 and Zeb'2 (Figures 6 and 7). These results suggest that FGF2-expansion infers an OPC identity, as judged by Olig2 and Sox10, while at the same time initiates first Zeb-based steps of EMT. Figure 1: Standardized Embryo and Forebrain Dissection for NSC Isolation and EMT Induction. (A) Left forelimb of rat E14.5 embryo after caesarean section. Every fore limb digit is marked with a black arrow tip. Note the beginning digit formation typical for E14.5. (B) Rat E14.5 embryo after hull removal. Note the hash (#) at the dorsal diencephalon which is ideal to start removal of the skin/skull anlage. (C) The skin/skull is already mostly removed. The border between removed and unremoved skin is marked with two triangular arrowheads. The skin can be peeled anteriorly from the anterior arrow and posteriorly from the posterior arrow. (D) The skin/skull is now completely removed. Note the notch of the midbrain-hindbrain boundary (arrow) and the cut just caudally to it, marked with an arrowhead. (E) The telencephalon-diencephalon-mesencephalon (TEL-DI-MES) block is removed from the rest of the embryo. (F) Superior view of TEL-DI-MES block. Cranial is left. (G) Oblique view from above. (H) Inferior view of TEL-DI-MES block. (I) The mesencephalon and part of the diencephalon are separated from the telencephalon with the anterior part of the diencephalon. Top: Anterior view of both telencephalic vesicles. Bottom: Right lateral view of mesencephalon, top faces cranially. (J) Top: both telencephalic vesicles without diencephalon. Inferior view to illustrate complete removal of diencephalon. Asterisk depicts MGE. Bottom: anterior part of diencephalon. (K) Top: Both hemispheres are separated in the interhemispheric fissure. Left hemisphere on left side. Asterisk depicts MGE. Plus sign depicts LGE. (L) Magnification of left hemisphere with median view. Right faces cranially, left caudally, top is dorsal, bottom ventral, respectively. Asterisk (*) is located at MGE. Plus sign (+) is located at LGE. ch, cortical hem; FL, forelimb; di, diencephalon; mes, mesencephalon; MHB, midbrain-hindbrain boundary; HL, hind limb; LGE, lateral ganglionic eminence; MGE, medial ganglionic eminence; ob, olfactory bulb; pc, posterior cortex; rho, rhombencephalon; tel, telencephalon. The grid on every image shows 2 mm thick lines with four intersection with thin lines every 400 µm. Scale bar on all images: 2 mm. Please click here to view a larger version of this figure. Figure 2: Standardized Cortical SVZ dissection for NSC Isolation and EMT Induction. (A) Median view of left hemisphere. Through the foramen of Monro the MGE and LGE are visible, marked by asterisk and plus sign. (B) The olfactory bulb is removed just cranially of the MGE-LGE. (C) The posterior pole of the cortex is removed just behind the CGE. (D) Top: the cortical hem is separated from the cortex. Left: posterior pole. Middle: complex containing the central portion of the cortex and the CGE-LGE-MGE block. MGE and LGE face to the right. Right: olfactory bulb. (E) The CGE-LGE-MGE-cortex block is flipped horizontally. Now the outer surface of the telencephalon is facing the microscope. MGE and LGE now face to the left. (F) The reddish meninges are removed from the bright translucent cortex. The CGE-MGE-LGE-ctx block is now flipped back horizontally for the next step. (G, H) The same procedure is repeated with the right hemisphere. The central cortex is separated away from the CGE-MGE-LGE block. Note that there is an intermediate cortex zone that is left at the CGE-MGE-LGE block, marked with two arrows. This intermediate cortex thickness corresponds to half of the diameter of the LGE. Dotted line representing the border between LGE-CGE and the cortex. (I) The central cortex is separated into explants of less than 400 µm diameter. Scale bar: 2 mm; grid on every image shows 2 mm thick lines with four intersections (thin lines) every 400 µm. Asterisk (*) is located at MGE. Plus sign (+) is located at LGE. Abbreviations: ant-ctx, anterior cortex; cen-ctx, central cortex; cge, caudal ganglionic eminence; ch, cortical hem; cp, choroid plexus; ctx, cortex; LGE, lateral ganglionic eminence; men, meninges; MGE, medial ganglionic eminence; ob, olfactory bulb; pc, posterior cortex. Please click here to view a larger version of this figure. Figure 3: Explant Seeding onto 35 mm Grid Cell Culture Dishes. Place 1 ml of expansion medium at the center of the 500 µm grid dish. The drop is contained by the grid rim (small arrows). Place explants right at the center of the 1 ml drop. If the explants are spread outside the grid, swirl the dish in a slow circular motion and the explants will move to the center by centripetal force. Note: the explants are only barely visible by eye (black arrow heads). Scale bar: 35 mm. Figure 4: PDPN is Induced in the Presence of BMP4. Explants were cultured according to the protocol section 8 (2 days in FGF2 only, then followed by FGF2 with factors as indicated). Control (A) (FGF2 alone) and TGFβ1 (C) explants did not contain PDPN-positive cells (green). Nuclei are stained with DAPI (blue). BMP4 (B) and TGFβ1/BMP4 (D) explants showed a high proportion of PDPN-positive cells. The explant center is at the left, the periphery at the right. Note: The PDPN-positive cells were mostly found at the periphery and not in the center of the explant. The TGFβ1/BMP4 explants contained flatter, more elaborated PDPN-positive cells. (E) The percentage of PDPN-positive cells in explants at different conditions is represented. Control and TGFβ1 both are significantly different from the conditions with BMP4. Means are shown ± SEM. Control vs. TGFβ1 is not significant (ns). Control and TGFβ1 vs. BMP4: p < 0.0001 (***). TGFβ1 vs. TGFβ1/BMP4: p < 0.0001 (***). BMP4 vs. TGFβ1+BMP4 is not significant: p = 0.0981 (ns). Control vs. TGFβ1+BMP4: p < 0.0001 (***). Scale bar for all images, as illustrated in (A): 50 µm. Please click here to view a larger version of this figure. Figure 5: Quantitative Migration Assessment. BMP4 and TGFβ1 show Additive Effect on Cell Migration. Explants were cultured according to protocol section 8. (A) Control explant. (B) Explant in BMP4 alone. (C) Explant in TGFβ1 alone. (D) Explant in the combination of TGFβ1 and BMP4. (E) Migration distance in µm. 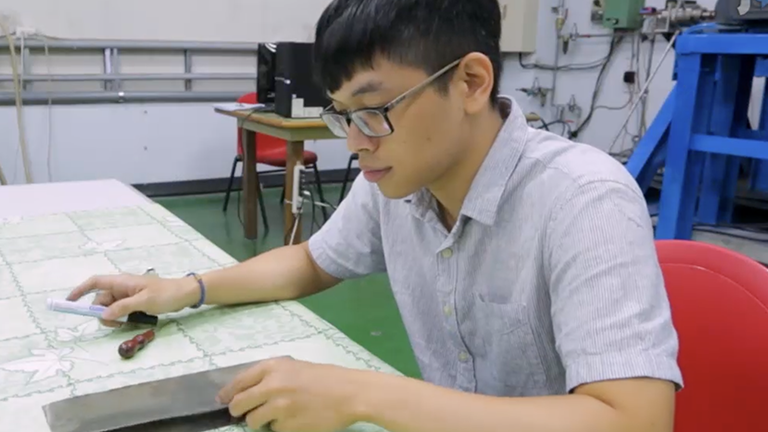 The 500 µm grid was used as reference. The control and the TGFβ1 explants are showing a strong proliferation with a larger explant diameter than in the other conditions. Means are shown ± SEM. Note that the BMP4 and TGFβ1/BMP4 explants partly disintegrate the explant core and cells emigrate away from it centrifugally. Control vs. TGFβ1 is not significant (ns). TGFβ1 vs. BMP4: p = 0.0353 (*). Control vs. BMP4: p = 0.0351 (*). BMP4 vs. TGFβ1+BMP4: p = 0.0372 (*). Control vs. TGFβ1+BMP4: p < 0.0001 (***). Scale bar: 500 µm. Center of explant is marked by a plus sign (+). Outer edge of migrating cells is marked with triangular arrow. Please click here to view a larger version of this figure. Figure 6: Upregulation of EMT-related Transcription Factors by qRT-PCR. EMT is linked to the key transcription factors of the Zeb- and Twist-family. 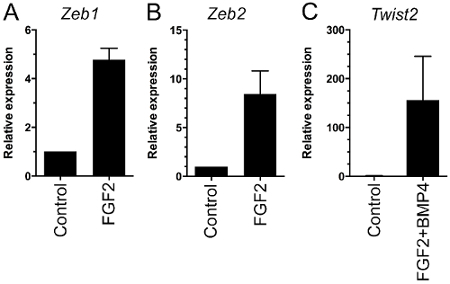 (A, B) Zeb'1 and Zeb'2 were upregulated during the first phase of FGF2-exposure. (C) Twist'2 was upregulated during the second phase of FGF2/BMP4-exposure. Relative expression levels based on qRT-PCR are shown (n = 2). The mRNA levels were normalized to GAPDH. Means are shown ± SEM. At day 0 of the FGF2 period mRNA was harvested, further mRNA was harvested after four days in FGF2, then after one day in FGF2/BMP4. Zeb'1: Control vs. FGF2, p = 0.0002. Zeb'2: Control vs. FGF2, p = 0.0206. Twist'2: Control vs. FGF2+BMP4, p = 0.003. Figure 7: NSCs show OPC Characteristics in the Model System. NSCs were isolated from the central cortex and cultured as single cells in the presence of FGF2 (according to Section 5). After 8 d in culture (passage after 4 d according to Section 7.9) the cells formed small NSC colonies and were stained for Olig2 (red, in B, C), Sox10 (red, in E, F) and Nestin (green, A, C, D, F). 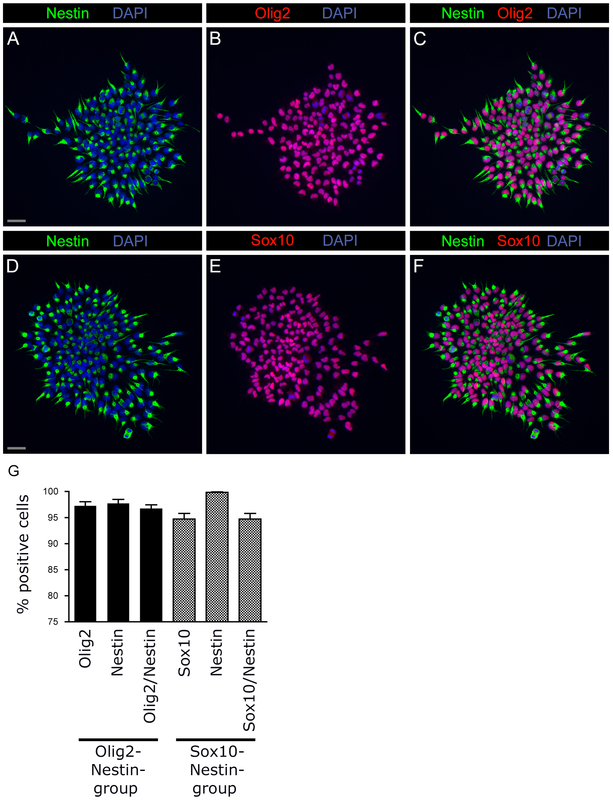 A high proportion of cells co-expressed Olig2/Nestin (A-C) and Sox10/Nestin (D-F). (G) Co-expression of Olig2/Nestin and Sox10/Nestin is shown in percentage of all cells. Means are shown ± SEM. Scale bar for all images as illustrated in (A) and (D): 20 µm. Please click here to view a larger version of this figure. Table 1. BMP4 and the Combination of TGFβ1 with BMP4 Induce a Robust Migratory Response. Explants from the central cortex were maintained in expansion medium and FGF2 for a total of four days. After the first two days, the explants either continued to receive FGF2 alone (control) or FGF2 and in addition TGFβ1, BMP4 or TGFβ1/BMP4 as combination. Control- and TGFβ1- explants did neither show a migratory response nor PDPN expression. BMP4 and TGFβ1/BMP4 induced both migratory cells as well as PDPN expression in all explants. Table 2. The central Cortex shows the most Robust Migration in Response to FGF2/BMP4. 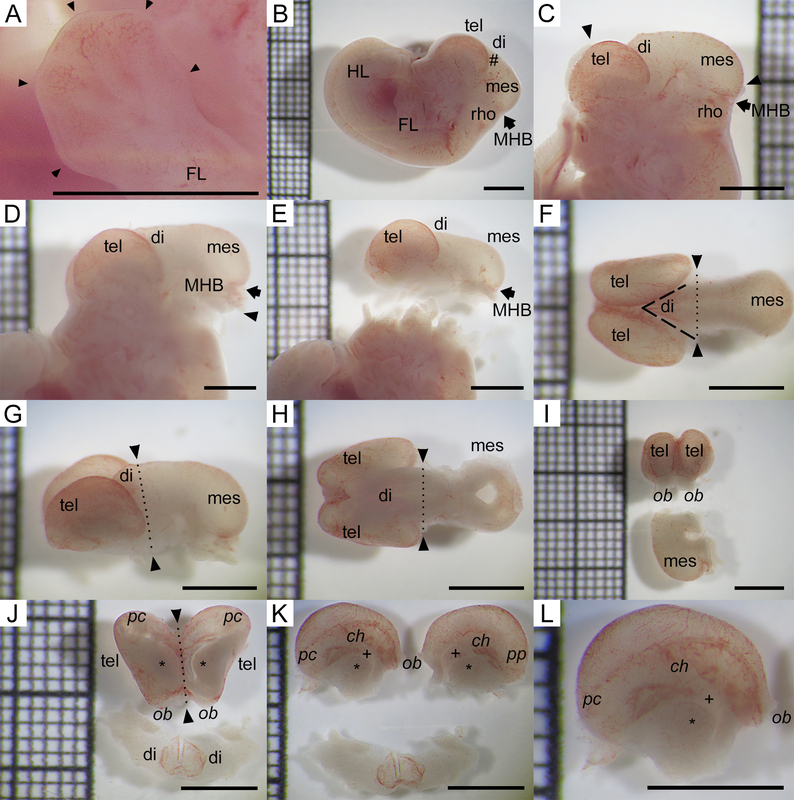 Explants were prepared from different regions of the developing rat E14.5 neural tube: the central cortex, the posterior cortex, the medial ganglionic eminence (MGE) and the mesencephalon. All explants were cultured identically in FGF2/BMP4 (Section 8). Explants treated without BMP4 did not show any migratory response (data not shown). All explants were screened for appearance of any migratory cells per explant. All regions were able to respond to FGF2 with BMP4 with migration. The central cortex, however, showed the most robust response. Note that BMP4 was required to induce any migratory cells. Explants cultured in FGF2 alone showed proliferation but no migration; and no flat migratory cells were observed in FGF2 alone (Table 1 and Supplementary Figure 2). Supplementary Figure 1. 400 µm Grid File. The grid file may be printed and used as reference during the above dissection steps and as shown in Figures 1 and 2. The large intersections represent 2 mm with 400 µm subdivisions. Please click here to download a PDF version of this figure. Supplementary Figure 2. BMP4-exposed Explants Show Flat Migratory Cells. Magnification of cells shown in Figure 5. (A) Control- (FGF2 alone) and (C) TGFβ1-explants demonstrated a strong cell division with small rounded cells. (B) BMP4- and (D) TGFβ1/BMP4-explants showed consistently flat elongated cells. Scale bar for all images, as illustrated in (A): 100 µm. Please click here to view a larger version of this figure. Supplementary Figure 3. Summary of in vitro Model System for EMT investigation. E14.5 rat central cortex contains the NSC-containing SVZ. The central cortex is either used as explant pieces or as single cells. Explant pieces are more convenient for quantitative migration analysis (Section 8). Single cells are suited for qualitative analysis, such as gene or protein analysis (Section 9.13). In this study a standardized system for EMT analysis utilizing NSCs is described (summarized in Supplementary Figure 3). The standardization ensures reproducibility (Table 1 and 2). The NSCs are derived from the developing cortex, a tissue that normally does not undergo EMT. This is of advantage for the analysis of early steps in EMT. Initial steps in EMT cannot be adequately studied in tumor cells that have accumulated genetic changes and may have already adopted EMT features. Moreover, primary tumor samples are not ideal to understand EMT since most malignant tumors are heterogeneous containing both invasive and non-invasive cells. The presented protocol provides EMT researchers with a novel model to study early steps of EMT induction. Here we show that the key EMT inducers of the Zeb and Twist family are sequentially activated: during the first phase Zeb1 and Zeb2 are upregulated, during the second phase Twist2 (Figure 6). Previously, we had shown that Snail1 is already upregulated several hours after BMP4-exposure8. We had also shown that upon BMP4-exposure the neuroepithelial stem cells from the central cortex differentiate into mesenchymal cells, positive for smooth muscle actin (SMA) and calponin9. The results above complete the previous study in demonstrating that all of the three known key EMT regulators are involved in the system. In addition, we observed that TGFβ1 can significantly enhance the migratory effect of FGF2/BMP4 alone. These results point to a network between FGF-, BMP- and TGFβ-signaling during EMT induction. 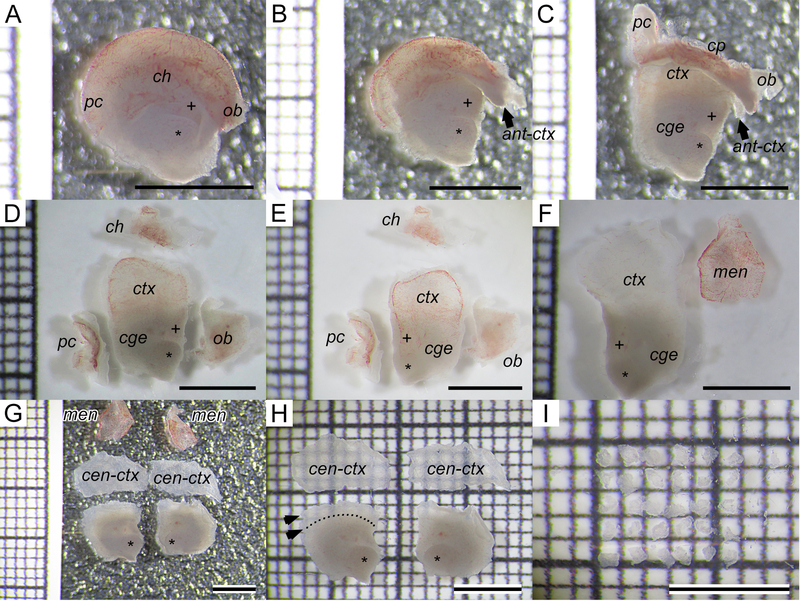 The most critical steps for successful isolation of NSCs for EMT and migration analysis are: correctly identifying the embryonic age, identifying anatomical landmarks of the developing embryo, preparation of fresh culture media and (at least overnight) coated plates, use of fine-tipped instruments and proper dissection of the central portion of the developing cortex to establish cortical explants. The presented techniques may be enhanced by some modifications. As suggested above, multiple explants are plated on a single dish with a grid. For screening of multiple compounds, however, it may be more convenient to place single explants in every well of a 96-well plate. Further, the model system can be refined for large scale drug discovery. As described above, PDPN is a valuable marker for newly acquired migratory features since PDPN is found in invasive NSCs8. A PDPN reporter can be transfected in normal NSCs before EMT induction. As a consequence PDPN expressing cells can serve as an internal control for cell transformation since PDPN is not expressed in normal NSCs (Figure 4 and Table 1). Several additional NSC markers are available, such as Nestin, that are lost after EMT induction8. As a consequence, both the initial state, "non-migratory/non-invasive/Nestin+", and the final state, "migratory/invasive/PDPN+", can be monitored, which enables automated drug discovery. In large cell culture plates with multiple wells (e.g., 96-well plates and larger) initial cells may be seeded and treated with established drugs or compounds without known function. Thus, multiwell plates can be automatically scanned for expression of PDPN or other migration/invasion markers. If an inhibitor is the main target of the screen, disappearance of PDPN expression can help to identify putatively interesting novel inhibitory compounds. During testing of a novel substance the explants may not show migration and/or the explants may round up and detach from the dish. In this situation, it is best to change only half of the media every day (instead of full media change every other day). This reduces stress by surface tension when replacing with fresh media. The explants may not attach after the initial plating. In this situation, fibronectin has to be in contact with the dish surface for at least 36 h. Fibronectin used for coating should be freshly prepared without exposure to a plastic tube for more than 10 min since fibronectin may stick to the plastic. Further, the explants may settle outside of the grid. In this situation, it is advisable to swirl the dish in a slow circular motion. This allows the explants to reposition to the center by centripetal force (cf. Figure 3). There is strong evidence that gliomas are derived from NSCs and/or OPCs derived from NSCs23,24. As a consequence other groups have established glioma growth models on the basis of NSCs: Sampetrean et al. isolated NSCs from Ink4/ARF-deficient mice and forced overexpression of H-Ras25. High-grade malignant tumors resulted that showed proliferation and invasion after transplantation25. McNeill et al. also isolated NSCs from genetically modified mice (floxed Rb1, Nf1, Kras, Pten alone and in combinations)26. The genes were inactivated by Cre-virus infection and the NSCs were transplanted26. Both these model systems have the advantage that invasion can be monitored in vivo and potential new anti-invasion drugs can be tested. Their main disadvantage is that the onset of invasion is not well defined and it is unclear whether the cells show glioma-typical EMT invasion (EMT genes) or only local migration. Further only one drug can be tested per animal and the analysis requires several weeks. To identify a novel anti-invasion drug, pharmaceutical companies need (a) to screen for several thousand compounds or more at once, (b) to replicate the tests and (c) to try different drug concentrations. To prepare several thousand transplanted animals, treat them with different drugs and finally test for effects by histochemical or bioluminescence analysis is very resource-consuming. Here a novel NSC-based model system for EMT-related invasion is described that allows the cost-efficient screening of thousands of compounds. Although this model enables high throughput screening of compounds, it is a primary screening platform only. Once compounds of interest are identified in this model, they will require additional validation. In vivo testing is necessary for safety and efficacy parameters for any compound identified and transplantation models as described above become important25,26. The model is also limited by the fact that it is based on rodent cells. Although the model can be used to investigate rat or mouse EMT, it is unclear if the same mechanisms are in place in human cells or in the human patient. Further experiments are needed to investigate if NSCs are not only invasive in vitro, but also after transplantation. Several lines of evidence support the role of NSCs in glioma formation. Glioma progression has been linked to the following genes: Tenascin C, Hey1, SPARC, Snail1 and Snail2, FGFR+, BMPR1a, EGFR, PDGFRβ, Sox2, Podoplanin, Gli3 and p75NGFR8. All of these genes are also expressed during the transformation of normal non-invasive NSCs to invasive mesenchymal cells8. At the time being, it is unclear whether NSCs can be transformed into tumors by external growth factors only. Tumor-initiating stem cells (TICs) from different tumors have been isolated and are used as models to understand tumor progression27. TICs are, however, not well suited for EMT analysis, since EMT did already occur in TICs27. To understand early and also late steps of EMT induction, a primary non-neoplastic cell population is needed. Ideally this population was not meant to undergo EMT in the first place. It had been previously shown that embryonic NSCs were suitable candidates for this purpose9,28. Namely, migration and invasion could be induced in NSCs by FGF2 and BMP49,28. FGF2/BMP4-induced migration was related to single EMT-related genes, however, complete evidence was lacking since the key EMT families Zeb and Twist had not been investigated8. The results above show that a specific combination of four factors, FGF2, BMP4, TGFβ1 and insulin cause a very strong and complete EMT induction, not observed before. The present study demonstrates that the key EMT genes of the Zeb- and Twist-families are also upregulated. This study therefore provides the first evidence that there is not selective upregulation of single genes, but the results show that all key EMT families are active in the proposed cell culture system. EMT has also been observed in epithelial cancers outside of the brain, such as lung, breast, colon and gastric cancer29. Several models to study EMT are in use for these tumors30-32, which come, however, with significant limitations: (a) usage of transformed tumor cell lines carrying multiple genetic and epigenetic changes33; to identify inhibitors of EMT for early cancer stages, late-stage cancer cells are inadequate; (b) serum-dependent cultures which contain various undefined growth factors; this renders identification of critical factors very difficult. Further, experiment reproducibility is impaired since serum quality varies from batch to batch; (c) serum contains inhibitors and enzymatic activities possibly inactivating potentially useful exogenous compounds; (d) need of enzymes for cell passaging that degrade cell surface molecules; (e) to identify EMT agonists to promote physiological EMT, normal cells are needed to test induction. Tumor cell models are inadequate to find substances that promote regeneration in normal stem cells. Migration is also required for normal processes, such as wound healing and regeneration of the injured brain18. After traumatic brain injury and stroke, NSCs are necessary to migrate to the lesion site to participate in the regeneration4,34. The current system may also be used to identify substances that promote migration and invasion. As shown above, migration is induced upon start with BMP4-treatment. If the cells are not exposed to BMPs but instead to novel compounds, these may substitute for the BMP action which will help to identify novel BMP agonists. With a reporter system that indicates PDPN expression, large scale testing for novel substances becomes feasible; if a novel compound can substitute for BMPs, PDPN expressing cells can be automatically identified. The proposed system is also useful to investigate cell-signaling interactions. Our results show that the BMP effect on migration could be enhanced by TGFβ1 activation. The results uncover an additive interaction between BMP- and TGFβ-signaling. However, additional signaling pathways, such as Notch-, Wnt- or EGFR-/MAPK- and other signaling cascades may be involved. Therefore, further investigations on BMP/TGFβ-interactions and cross-talk to other pathways are needed. In addition, the responsive central cortex can be isolated from genetically modified mice, which can help to elucidate underlying mechanisms driving EMT. In summary, the EMT model system described here may be helpful in the fields of stem cell biology and regeneration, as well as in cancer research. It may be used for screening of drug libraries for substances inhibiting or enhancing migration and invasion. The study was supported by the University of Basel Science Foundation and the Swiss National Science Foundation by a grant to MHS and AG (SNF IZLIZ3_157230). We thank: Dr. Tania Rinaldi Burkat for generously providing infrastructure; all members of the Bettler group for discussions and comments. We thank Gerhard Dorne (Leica Microsystems, Switzerland) for professional and competent installation of the Full HD MC170 video camera (Leica Microsystems, Switzerland). CellMask Orange Life Technologies C10045 Plasma membrane dye, use at 1:1,000. DAPI LifeTechnologies D1306 Stock at 5 mg/ml. Use at 1:10,000. Cancerogenic. Appropriate protection (gloves, coat, goggles) required. Human apo-Transferrin Sigma T1147 Possible lung irritant. Avoid inhalation. Use appropriate protection. Putrescine Sigma P5780 Skin and eye irritant. Appropriate protection required. Nieto, M. A. Epithelial-Mesenchymal Transitions in development and disease: old views and new perspectives. Int J Dev Biol. 53, 1541-1547 (2009). Sauka-Spengler, T., Bronner-Fraser, M. A gene regulatory network orchestrates neural crest formation. Nat Rev Mol Cell Biol. 9, 557-568 (2008). Barriere, G., Fici, P., Gallerani, G., Rigaud, M. Mesenchymal Transition: a double-edged sword. Clin Transl Med. 4, 14 (2015). Zawadzka, M., et al. CNS-resident glial progenitor/stem cells produce Schwann cells as well as oligodendrocytes during repair of CNS demyelination. Cell Stem Cell. 6, 578-590 (2010). Paxinos, G., Ashwell, K. W. S., Törk, I. Atlas of the developing rat nervous system. 2nd edn, Academic Press. (1994). O'Leary, D. D., Chou, S. J., Sahara, S. Area patterning of the mammalian cortex. Neuron. 56, 252-269 (2007). O'Leary, D. D., Sahara, S. Genetic regulation of arealization of the neocortex. Curr Opin Neurobiol. 18, 90-100 (2008). Sailer, M. H., et al. Non-invasive neural stem cells become invasive in vitro by combined FGF2 and BMP4 signaling. J Cell Sci. 126, 3533-3540 (2013). Sailer, M. H., et al. 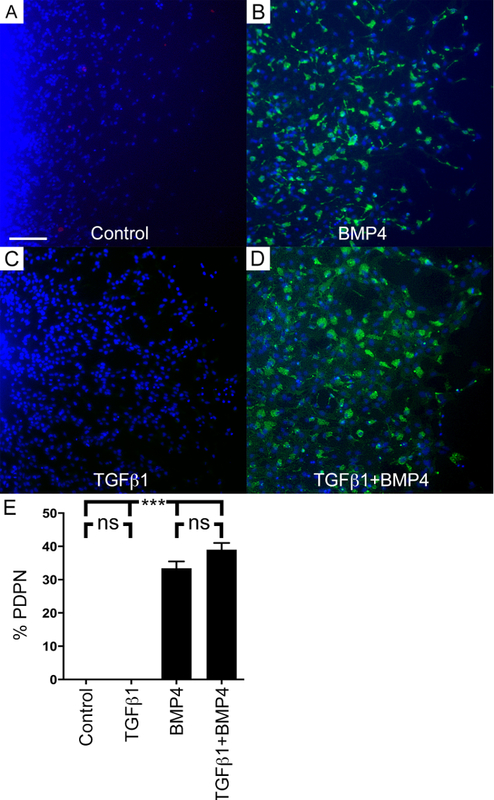 BMP2 and FGF2 cooperate to induce neural-crest-like fates from fetal and adult CNS stem cells. J Cell Sci. 118, 5849-5860 (2005). Sailer, M., Oppitz, M., Drews, U. 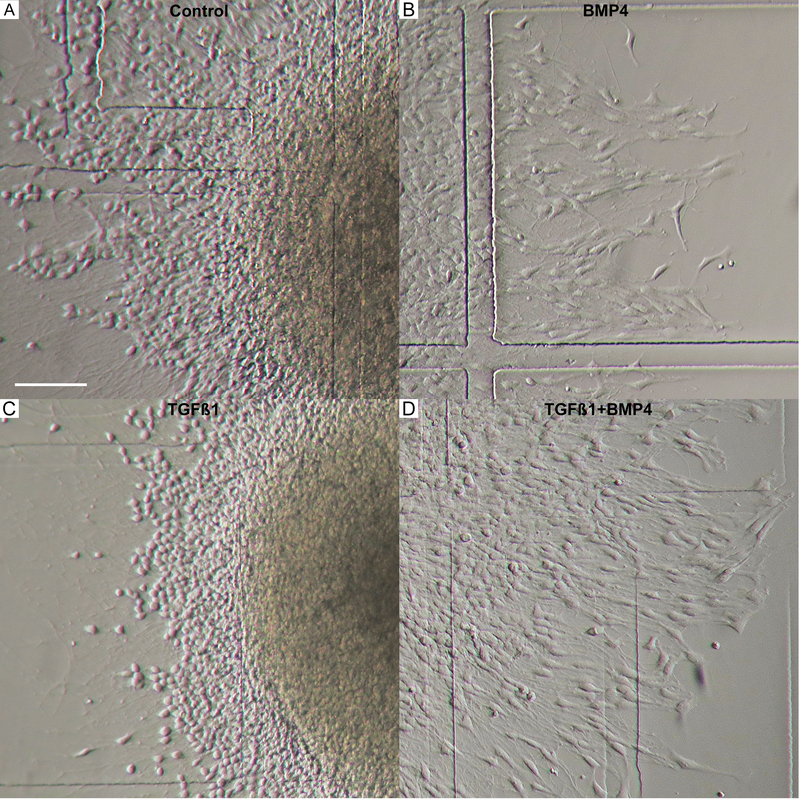 Induction of cellular contractions in the human melanoma cell line SK-mel 28 after muscarinic cholinergic stimulation. Anat Embryol (Berl). 201, 27-37 (2000). Wicki, A., Christofori, G. The potential role of podoplanin in tumour invasion. Br J Cancer. 96, 1-5 (2007). Wicki, A., et al. Tumor invasion in the absence of epithelial-mesenchymal transition: podoplanin-mediated remodeling of the actin cytoskeleton. Cancer Cell. 9, 261-272 (2006). Mishima, K., et al. Increased expression of podoplanin in malignant astrocytic tumors as a novel molecular marker of malignant progression. Acta Neuropathol. 111, 483-488 (2006). Motomura, K., et al. Immunohistochemical analysis-based proteomic subclassification of newly diagnosed glioblastomas. Cancer Science. 103, 1871-1879 (2012). Kono, T., et al. Immunohistochemical detection of the lymphatic marker podoplanin in diverse types of human cancer cells using a novel antibody. Int J Oncol. 31, 501-508 (2007). Raica, M., Cimpean, A. M., Ribatti, D. The role of podoplanin in tumor progression and metastasis. Anticancer Res. 28, 2997-3006 (2008). Panchision, D. M., McKay, R. D. The control of neural stem cells by morphogenic signals. Curr Opin Genet Dev. 12, 478-487 (2002). Lamouille, S., Xu, J., Derynck, R. Molecular mechanisms of epithelial-mesenchymal transition. Nat Rev Mol Cell Biol. 15, 178-196 (2014). Gonzalez-Perez, O., Alvarez-Buylla, A. Oligodendrogenesis in the subventricular zone and the role of epidermal growth factor. Brain Res Rev. 67, 147-156 (2011). Hu, J. G., et al. PDGF-AA mediates B104CM-induced oligodendrocyte precursor cell differentiation of embryonic neural stem cells through Erk, PI3K, and p38 signaling. J Mol Neurosci. 46, 644-653 (2012). Galvao, R. P., et al. Transformation of quiescent adult oligodendrocyte precursor cells into malignant glioma through a multistep reactivation process. Proc Natl Acad Sci U S A. 111, E4214-E4223 (2014). Liu, C., et al. Mosaic analysis with double markers reveals tumor cell of origin in glioma. Cell. 146, 209-221 (2011). Das, S., Srikanth, M., Kessler, J. A. Cancer stem cells and glioma. Nat Clin Pract Neurol. 4, 427-435 (2008). Modrek, A. S., Bayin, N. S., Placantonakis, D. G. Brain stem cells as the cell of origin in glioma. World J Stem Cells. 6, 43-52 (2014). Sampetrean, O., et al. Invasion precedes tumor mass formation in a malignant brain tumor model of genetically modified neural stem cells. Neoplasia. 13, 784-791 (2011). McNeill, R. S., et al. Modeling astrocytoma pathogenesis in vitro and in vivo using cortical astrocytes or neural stem cells from conditional, genetically engineered mice. JoVE. e51763 (2014). Lara-Padilla, E., Caceres-Cortes, J. R. On the nature of the tumor-initiating cell. Curr Stem Cell Res Ther. 7, 26-35 (2012). Busch, C., et al. BMP-2-dependent integration of adult mouse subventricular stem cells into the neural crest of chick and quail embryos. J Cell Sci. 119, 4467-4474 (2006). Thiery, J. P., Acloque, H., Huang, R. Y., Nieto, M. A. Epithelial-mesenchymal transitions in development and disease. Cell. 139, 871-890 (2009). McDonald, O. G., Wu, H., Timp, W., Doi, A., Feinberg, A. P. Genome-scale epigenetic reprogramming during epithelial-to-mesenchymal transition. Nat Struct Mol Biol. 18, 867-874 (2011). Rahimi, R. A., Leof, E. B. TGF-beta signaling: a tale of two responses. J Cell Biochem. 102, 593-608 (2007). Xu, J., Lamouille, S., Derynck, R. TGF-beta-induced epithelial to mesenchymal transition. Cell Res. 19, 156-172 (2009). Suva, M. L., Riggi, N., Bernstein, B. E. Epigenetic reprogramming in cancer. Science. 339, 1567-1570 (2013). Sullivan, R., et al. A possible new focus for stroke treatment - migrating stem cells. Expert Opin Biol Ther. 1-10 (2015).